This is an update of the previous post Dropbox - Syncs, back-up, share files easily! [Anasfaris]. "The simplest, most elegant file-sync tool ever" quoted from PC Magazine. 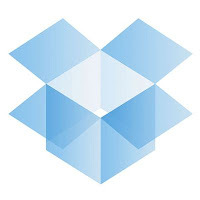 With the latest version of Dropbox 0.6.550 for windows, dropbox tries the best to upgrade its features. With dropbox, you never have to e-mail yourself a file again, keep files syncs between computer, and share files easily with others. One more feature that I found interesting is the Shared folder. 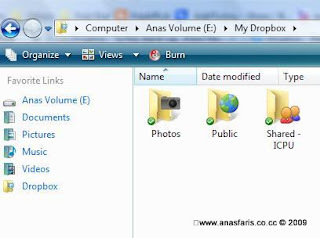 Using dropbox, you can create a shared folder and invite anyone using dropbox to the folder. You can transfer pictures to your friends like you transfer pictures to his thumb drive without having to be in the same place. Most amazingly, the transfer was really fast. You and your friends can also collaborate files that your group want to edit. Last but not least, you will get a 2GB of storage for free, with up to 100GB available to paying customers. However, if you still want more with free storage, you can get extra spaces by referring. By referring to your friends, both you and your friend will get extra 250MB space. You can have up to 3GB bonus space! I'm referring dropbox to you, thus I and you will earn 250 MB of extra space.